J&O Forest Fund Ltd. is registered in Bermuda with registration number 36734. The fund was incorporated in May 2005 under the name Centum Multi-Strategy Fund Ltd, owned and managed by Centum Asset Management Ltd. In June 2012, J&O Asset Management acquired the fund. The following six months under J&O´s leadership meant selling out old holdings with poor performance. After selling off these assets and other alternative assets during the six months the fund investment strategy shifts to forestry and as a result the fund is renamed J&O Forestry Investment Fund Ltd. changed again in January 2017 to the name it carries today, J&O Forest Fund Ltd. Bermuda Registrar of Companies. The fund is authorised by the Bermuda Monetary Authority. BMA Registry. The fund´s share classes B and D are listed on the Luxembourg Stock Exchange from Sep 30, 2015. The fund is authorised for marketing in Sweden (share classes B and D to both professional and non-professional investors and share classes A and C to professional investors in Sweden) under the Swedish Alternative Investment Fund Managers Act implementing the Alternative Investment Fund Managers Directive (AIFMD). The fund is an internally managed alternative investment fund. The fund is approved for marketing in Finland to professional investors. The definition of Professional Investor is stated in the Act on Investment Firms (747/2012). The fund is an internally managed alternative investment fund. The fund is authorised for marketing in Norway to professional investors. The fund is an internally managed alternative investment fund. The fund has entered into an investment management agreement with J&O Asset Management Ltd. regarding the management of the fund. J&O Asset Management Ltd. is a limited company registered in Bermuda with registration number 36737. Bermuda Registrar of Companies. The fund has entered into an agreement with Apex Fund Services Ltd regarding fund administration, registar and transfer agent services. Apex Fund Services is one of the world’s largest independent fund administration companies with over $28 billion of assets under administration and 34 offices across the globe. The fund holds accounts with Swedbank in Sweden. Mangold Fondkommission AB has been appointed as custodian of the fund. 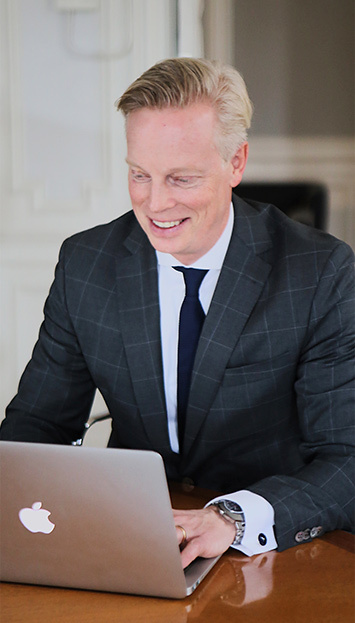 Mangold was founded in 2000 and is under the supervision of the Swedish Financial Supervisory Authority. Mangold Fondkommission AB is not a custodian of the fund within the meaning of the AIFMD. The fund auditor is KPMG, one of the major audit service companies in the world employing 155,000 professionals in 155 countries worldwide. Appleby Global has been appointed as the fund´s legal advisor in Bermuda. Appleby Global is one of the world’s leading providers of offshore legal, fiduciary and administration services.